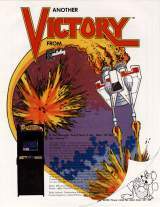 Victory is a game which you control your Battlestar to destroy an alien force which has overrun your planet. This force has installed radar and quark silos on your planet and use their deadly armada to drop paratroopers to the surface to release the quarks. All is not lost however as your Battlestar is equipped capable lasers and shields as well as the 'Doomsday Device'. The hardware for this game is impressive for its time, containing multiple processors and speech/audio chips which add very much to the game experience. Victory was released in February 1982. 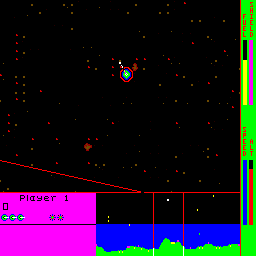 Later, there was an upgrade kit that was sold to convert Victory games to a game called "Victor Banana", changing the in-game graphics to match a more comical theme. 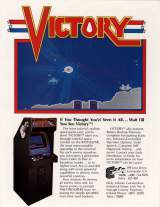 Colecovision [US] (1983) "Victory [Model 2446]"